Regardless of whether the majority of Los Angeles 3.8 million residents turn out in numbers big or small, experts have forecasted that Blacks will be the determining vote in the election of the next mayor of Los Angeles. 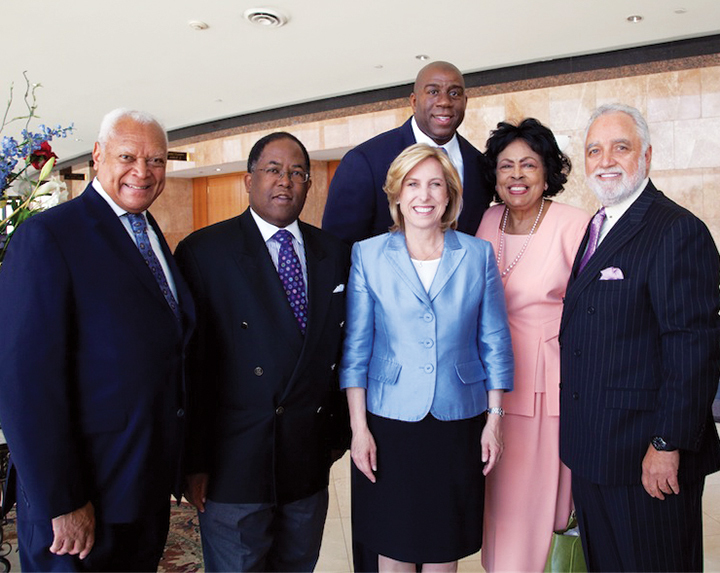 Although African Americans make up just 9.3 percent of the population, it is their vote that is the most coveted among candidates Wendy Greuel and Eric Garcetti, and could swing the tide in favor of Curren Price for Ninth District City Council and Dennis Zine for Controller. With City Councilwoman Jan Perry out of the mayor’s race, the 56 percent of the Black vote that she garnered in the primary is now up for grabs. If voters turn out in low numbers as anticipated, then Blacks will become even more convincing in the outcome. That element alone will make for a nail biting, gut twisting experience for the final candidates who enter into the final days in a virtual dead heat, but Greuel has maintained a substantial lead among polls in the Black community. the Sentinel newspaper, an abundance of other community leaders, civil rights organizations, women groups and unions. For Blacks this election undoubtedly be the most significant elections since the 2008 when Barrack Obama became the first African American to win the White House. We only need to look back as far as 2005 when incumbent Mayor Jim Hahn lost Black voters clout by dismissing then LAPD Chief Bernard Parks who is Black, Hahn never recovered as Antonio Villaraigosa defeated him and was subsequently reelected again. The power of the Black vote will again play a key role in determining who runs the city and in other races such as the Ninth District City Council and the City Controller race. Greuel can become the first woman mayor in the history of Los Angeles. She has earned the powerful endorsements of former President Bill Clinton respected Congresswoman Maxine Waters and basketball icon Earvin ‘Magic’ Johnson. Upon graduation, Greuel worked in Mayor Bradley’s office for ten years, serving as Bradley's liaison to the City Council, City Departments and the Community on public policy issues ranging from child care to homelessness to senior care and health issues. Days from the most significant election for Los Angeles since the past two presidential elections, Congresswoman Maxine Waters (D-43) is supporting Greuel in the race for the next mayor of Los Angeles. 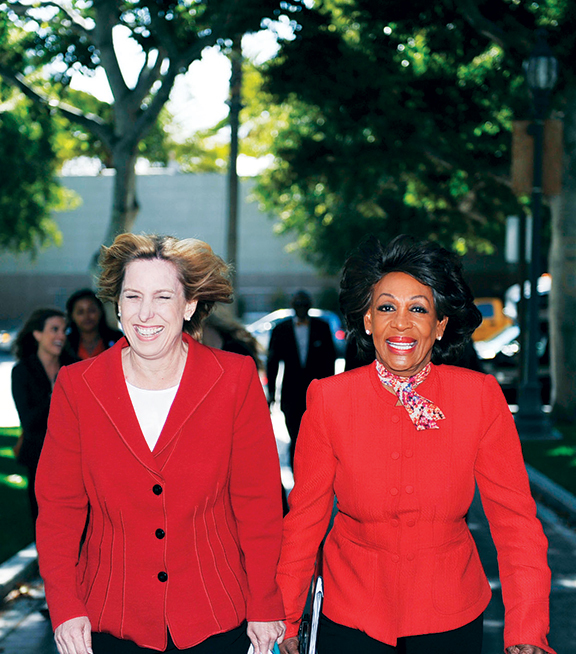 Waters stood side by side with Greuel at City Hall, both wearing matching bright red jackets as the 12-term congresswoman made her endorsement of Greuel official. After six years in the Legislature, Senator Price has earned a reputation as a thoughtful, principled, and effective leader. 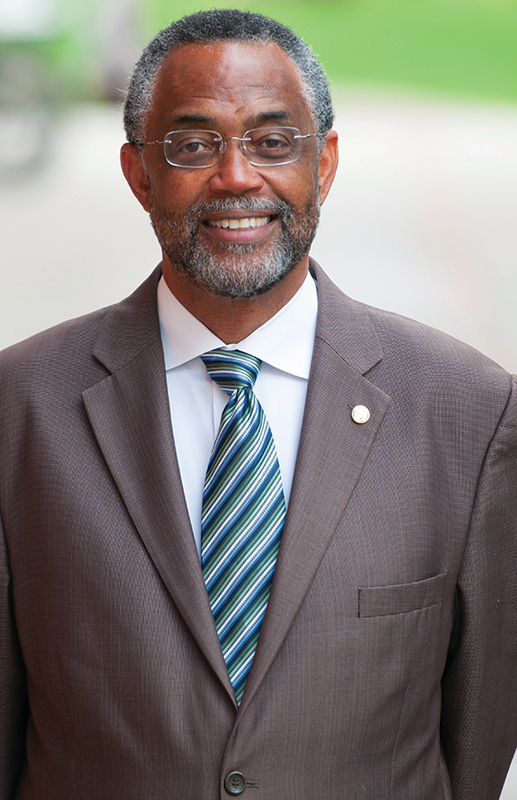 He pledges to bring that reputation to the City of Los Angeles as a candidate for City Council representing the 9th District. He is a strong advocate for investing in our public schools, empowering parents and challenging all students to meet higher academic standards. He seeks to give all Californians, regardless of income or socioeconomic status, the chance to go to college or develop the skills needed to succeed in today’s highly competitive workplace. As a leading champion for working families, Senator Price has fought to protect the rights of California workers. He has led efforts to support homecare workers, hotel workers, security guards, probation officers and other workers vital to California’s economy, in order to organize for better wages and benefits. Senator Price has worked to expand the quality and affordability of health care for all Californians and has authored legislation that would allow parents to add dependent children up to age 26 to their employer-based health plans. He has also authored legislation that was signed into law requiring hospitals to provide public notification prior to closing its doors or eliminating vital health services. A state leader who works across party lines to find common ground, Senator Price speaks his conscience, and gets things done for his constituents. His passion to serve his community led him to work towards expanding and improving job training opportunities, particularly for our youth, and investing in our families and their futures. Born and raised in Los Angeles, California, Senator Price attended Morningside High School in Inglewood and earned a scholarship to Stanford University where he graduated with a Bachelor of Arts degree in political science. He studied law at Santa Clara University and graduated in 1976 with a Juris Doctor degree. Senator Price resides in the 9th District with wife Delbra. A registered independent, Zine was reelected in 2009 with over 70% of the vote and was selected to serve as the Assistant President Pro Tempore of the Council. 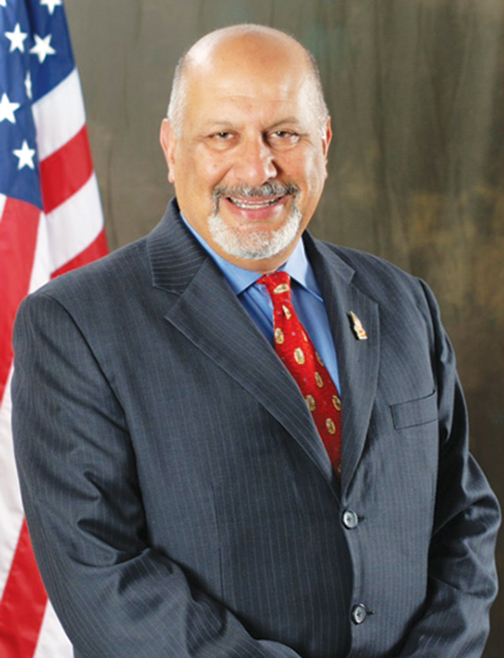 During the past 11 years of service on the Los Angeles City Council, he has also served as an LAPD reserve officer in the Fugitive Warrant Detail where he continues to assist in the apprehension of felony suspects. His public service career began over 43 years ago with the Los Angeles Police Department. Within the LAPD, he rose to the rank of Sergeant and worked a variety of assignments including Patrol, Motorcycle Detail, Detectives, Intelligence, Administrative, and Vice. 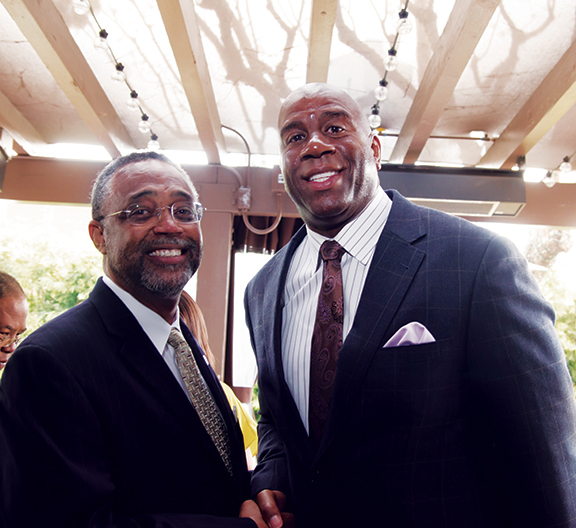 He was also elected three times to the Board of Directors of the Los Angeles Police Protective League. Charisse Bremond-Weaver, president and CEO of the Brotherhood Crusade, and the Rev. Reginald Pope of the Bethel Missionary Baptist Church are the latest major African-American leaders to endorse Dennis Zine’s election for City Controller. 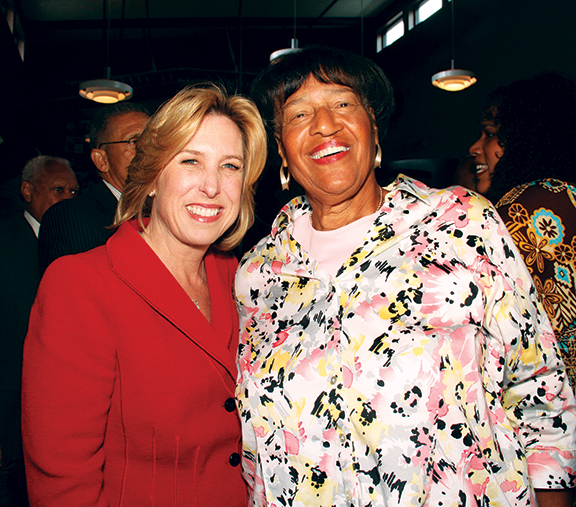 “Dennis Zine has been a great friend of this community and I am extremely proud to endorse his election,” said Ms. Bremond-Weaver, who has been a leading advocate for community empowerment, job training and youth development programs in South L.A. for a quarter century. “Dennis Zine is my choice for City Controller,” said The Rev. Pope. “We can trust Dennis to make sure our community gets its fair share of services.” Pope is the iconic pastor of the Bethel Missionary congregation for 37 years. The church opened in Watts in 1965, and it has been a pillar of that community ever since. 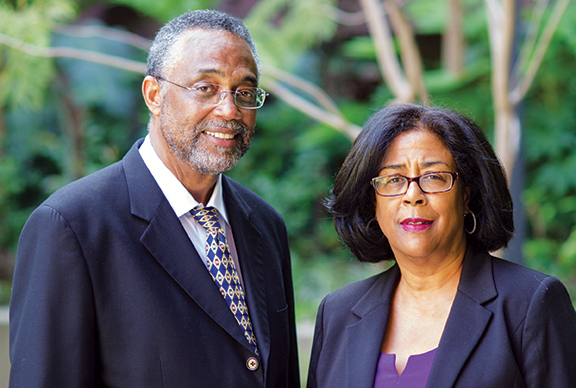 The pair joins a long and distinguished list of African-American leaders who endorse Zine, now a city councilman.